Beijing’s Intellectual Property Office has ruled that the iPhone 6 and 6 Plus violate the design patents of a Chinese phone maker. The ruling orders Apple to stop its sales of both these models in the city. In the latest of setbacks that the tech giant is dealing with in China, Beijing’s intellectual property authority ruled that the company has to cease its iPhone 6 and 6 Plus sales in the country. Both these phones infringe Shenzhen Baili’s patent rights for its 100C smartphone, Bloomberg reported. The iPhone 6 and iPhone 6 Plus infringe on Shenzhen Baili’s patent rights because of similarities to its 100C phone, the Beijing Intellectual Property Office wrote in its decision. Apple, whose iconic gadgets helped define the modern smartphone industry, said it’s appealing the ruling and is continuing to sell various iPhone 6 models during the process. 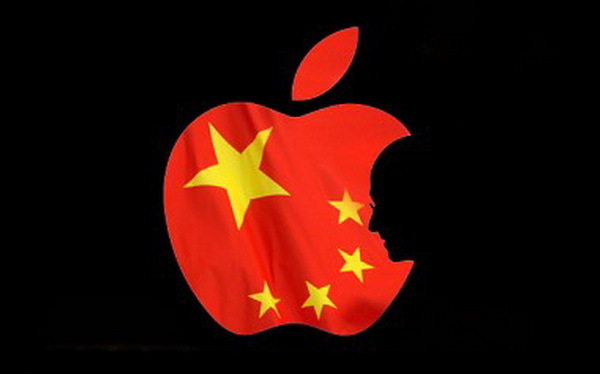 Not the first time for Apple to have come under the Chinese government’s fire, as the leading tech company has often to deal with lawsuits and patent rulings in the country. Last month we saw a report of a ruling where Apple lost exclusive rights to its iPhone trademark to a leather accessories manufacturer. This is just another weird intellectual properly ruling in the country working against Apple. IP specialists have said that there are no valid grounds for this ruling, as many lower courts rule in favor of the local companies that are later overturned by higher courts. However, this does set a precedent for other Chinese companies to seek court rulings and potential financial settlements against the U.S. companies. If the ruling is not overturned, Apple wouldn’t be able to sell the iPhone 6 and the iPhone 6s Plus. However, it is only applicable within Beijing. Apple has released a statement, saying that the company has appealed the order and that its phones are available for sale as the order has been stayed. Apple is not likely to lose its appeal, but the latest ruling illustrates the growing challenges that the company is facing in China, its largest market outside of the United States.